This year Isabelle was inducted into the Jr. 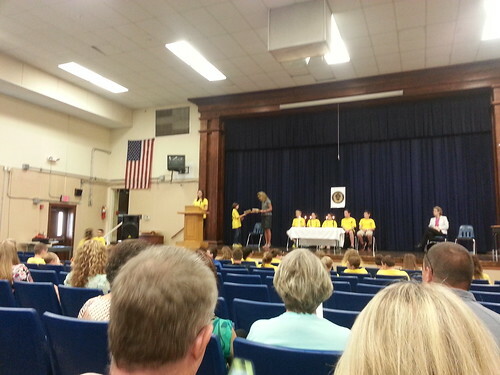 Beta Club for making A Honor Roll all through the fourth grade. She was very excited! Here is Isabelle accepting her certificate and pin from Mrs. Allen their principal. 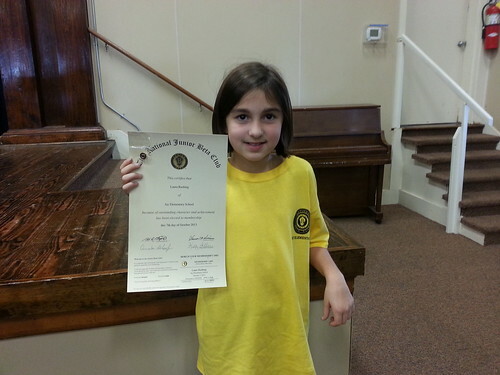 Here is a picture of Isabelle with her certificate after the ceremony.